Again they gathered. Elgin’s finest sons and daughters, adult men and women now. 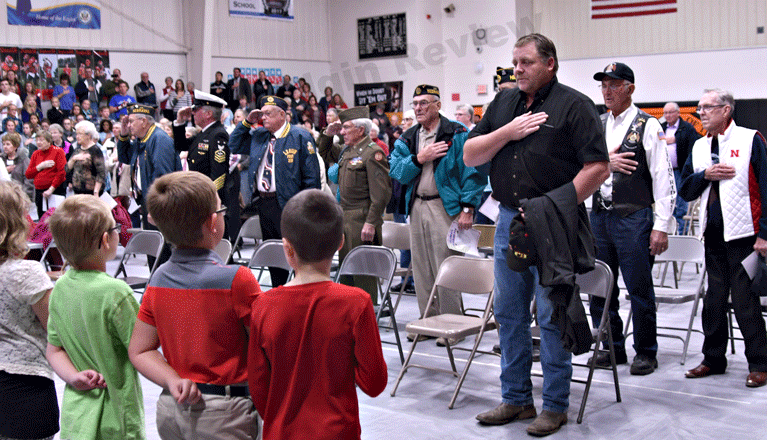 Having answered the call, they did so again as part of the Veterans Day observance at Elgin High School. Following the colors they so proudly served, veterans from the Korean War up to Iraq and Afghanistan, stood tall and walked proud seeing the images of friends and neighbors, who also served their country, some no longer with us. For nearly an hour, school-age children performed music, serenaded them with verse from “My America,” and paid them the respect and honor they so richly deserve. 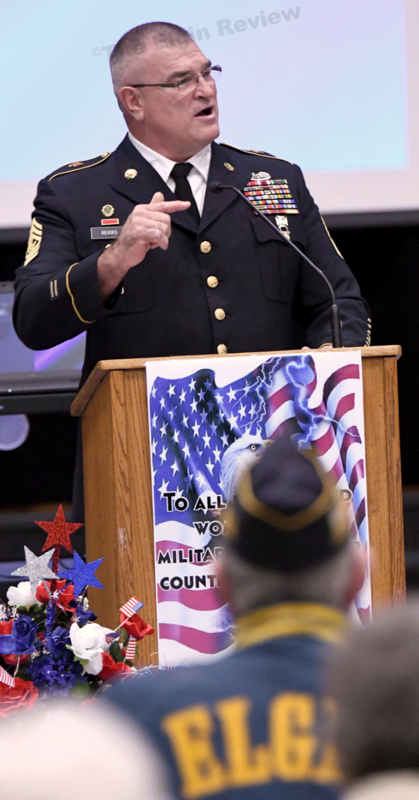 Guest speaker for Monday’s observance was one of Elgin’s own, Command Seargent Major Dean Reicks of the Nebraska Army National Guard. A graduate of Pope John XXIII Central Catholic High School in 1981, Reicks spoke for nearly 20 minutes about service to country. “What an honor it is to be invited home to honor and thank our nation’s military service members and their families for their service and sacrifices,” he told the audience which included his mother Dorothy Reicks of Petersburg. Later in his remarks, Reicks put into words the meaning of Veterans Day.